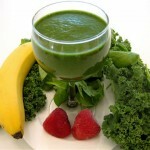 Baby spinach is the most popular leafy green vegetable to use in a green smoothie. 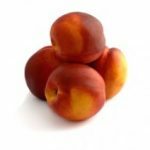 It has a mild flavor that is easily masked with the addition of fruit. Spinach offers many nutritional benefits, but eventually, you are going to get tired of using the same old thing. 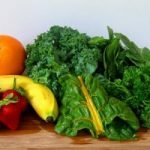 If you are looking for other great options to use in your green smoothie, why not consider trying Swiss chard or collard greens? 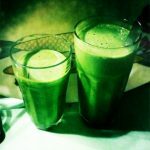 Swiss chard is an excellent substitute for baby spinach in a green smoothie. It also has a delicate, easily masked flavor, and the soft leaves can be blended well by most types of blenders. Swiss chard is a member of the same family as baby spinach. 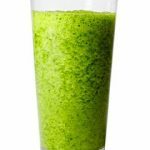 It has a slightly salty taste to it when eaten raw, but you don’t have to worry about this salty flavor spilling out over into your green smoothie. In fact, the slightly salty flavor will help to cut down on the natural sweetness of the fruit that you use in your smoothie. In terms of nutrition, Swiss chard offers an excellent source of Vitamins A, C, and K, magnesium, potassium, and iron. The vitamins and nutrients found in Swiss chard can promote bone health, cardiovascular, and provide an overall boost to your body’s immune system. Swiss chard comes in a variety of different colors, including red, orange, yellow, and white. Chard tends to diminish in nutritional value rather fast, so you should eat it as soon as possible after you purchase it. Collard greens are tough in texture, and they have a slightly bitter taste. Like Swiss chard, their flavor is easily masked by fruit. I was pleasantly surprised by their taste after using them in a green smoothie. Collard greens are a member of the same family as wild cabbage. When it comes to nutrition, collard greens offer a great source of Vitamins A and C, folate, manganese, and calcium. 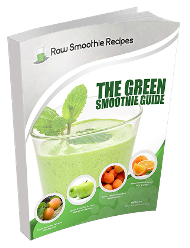 If you are planning on making a green smoothie for detox purposes, and among their many health benefits, they help support the health and function of your heart, lungs, and immune system. 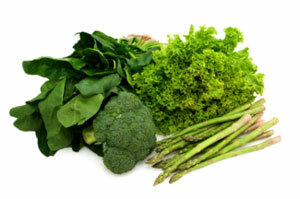 It can also lower cholesterol and help protect your body against certain types of cancer. 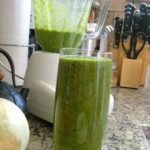 Because collard green leaves are kind of tough, I would highly recommend that you chop them up well before adding them to your blender.